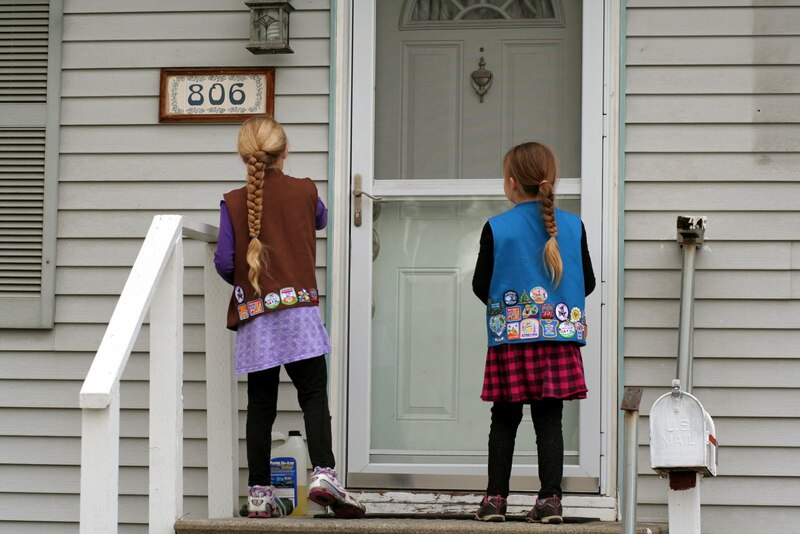 "Would you like to buy some Girl Scout Cookies? They will brighten up your day, just $4 a box!" 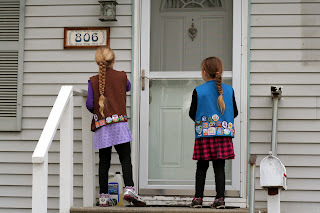 The girls went out and did a little cookie selling yesterday. Let me know if you would like to buy some cookies, I have two little girls who would love to sell you some! They make great gifts, they freeze well and if you really don't want any in your house you can always donate the boxes to our brave troops! In other news Cassie had her ONE year check up as well today and she is looking great! She is 23lbs 1oz and 29 inches long! She is healthy and growing right on track!